Mendoza may be in the world spotlight, but northern wine region is where Argentina’s wine reputation all began. Today, no trip to Argentina is complete without a stopover in Salta province to explore the flavors of high altitude wine and experience the unique blend of South American cultures that only this corner of the country can provide. Wine lovers and alcohol abstainers alike will find that Salta is a cultural destination all its own. Influences of Bolivia, Paraguay, and Peru inject the region with exotic cuisine, vibrant textiles and artisan wares, while the pulse of folklore music invites everyone to lose themselves in native traditions. Home to the largest concentration of high altitude vineyards in the world, the regions wineries can reach a staggering 9,000 feet above sea level. Our Salta wine tours take travelers through Salta and Cafayate cities and into the most prestigious Calchaquíes valleys. You´ll explore the remarkably concentrated wines, as you marvel at the red rock mountains and sky high cacti that distinguish the landscape. The provincial capital, the city of Salta is Argentina’s quintessential Spanish colonial city. Known to locals as “Salta la Linda,” it is renowned for its exceptional weather, well-preserved colonial architecture, and picturesque Andean landscape. Salta city tours guide visitors through nearly 500 years of history, stopping along the way to enjoy the majesty of some of the city’s most beloved landmarks, including the 18th century town hall, the 9 de Julio plaza, and the neoclassical Cathedral. Salta is also home to some of the country’s finest museums, featuring everything from contemporary art to ancient artifacts dating back to Incan civilization. In the past decade Salta has drawn the attention of international travelers and migrants alike. Positioned in the northeastern corner of Argentina, Salta has become a kind of cultural thoroughfare. Downtown city blocks, walking malls, and plazas are abundant with flavors and handicrafts brought from neighboring countries. Given its unique geographic positioning and nearly five centuries of history, Salta is unlike any other city in the country. Everything from the empanadas to the folk music express the city’s vibrant personality and invite travelers to spend a few days exploring life in this mile high city. 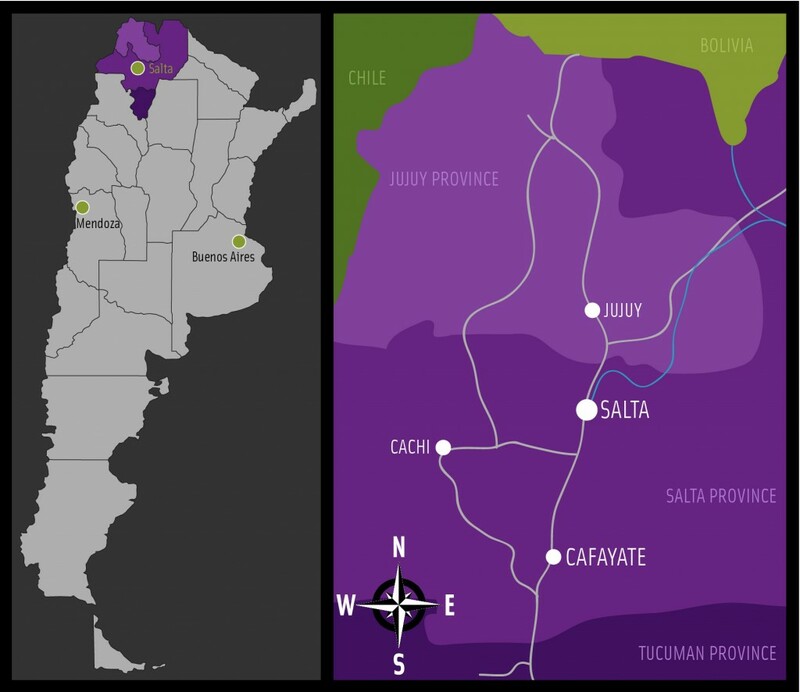 A four hour drive south of Salta city, sits Cafayate, Argentina’s second most celebrated winemaking region. The road from Salta to Cafayate is a picturesque drive through a diverse landscape of sky high cacti, tobacco and corn plantations, red rock canyons, and a good deal of desert dust contrasted by vibrant blue skies. The fertile Calchaquies Valley is the primary winemaking region of Salta Province, home to approximately 50 high altitude wineries dispersed throughout the valley, a short drive from downtown Cafayate. The Northern Region is divided into high altitude valleys, some more remote than others. 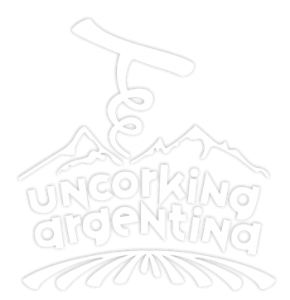 Other notable winemaking areas within Argentina’s northern region include Cachí, Colomé, Tinogasta, Santa María and Belén. Today wineries in this region are thriving with new investments and developing new infrastructure, yet the region as a whole faces unique challenges regarding transportation, sourcing materials, and carving out a place in the international wine markets. Though a variety of different grapes are planted in the northern region, Torrontés has been hailed as Salta’s masterpiece. This white grape variety is native to Argentina and remarkably aromatic with refreshing acidity. Today it is the mostly widely planted white grape variety in the country, but the dry heat, high altitude, and cool evenings of Salta bring forth the grape’s best qualities. Northern Argentina is renowned for its dramatic Andean landscapes and expansive desert countryside. Wine tours to Argentina’s northern region includes a 110 mile journey from Salta City to Cafayate, the region’s predominant wine region, carrying visitors along a picturesque drive and stopping along the way for photo shoots. On the drive from Salta city to Cafayate, travelers will pass through Quebrada de las Choncas, a deep valley of red canyons, vibrant with intense hues and striking geographic formations. Vineyard altitudes in the northern region of Argentina can climb as high as 9,800 feet above sea level and the Calchaquíes Valley are home to some of the world’s highest vineyards. Porous, sandy soils and scarce precipitation keep the grapevines healthy and strong and significantly diminish the need for chemical treatments. The region also enjoys on average 340 hot sunny days of the year coupled with cool nights. The dramatic temperature drop that takes place from noon to midnight is known as thermic amplitude, and can swing up to 35 degrees Fahrenheit. This fluctuation allows the grapes to develop intense pigmentation, flavors and aromas. Our private wine tours to the local wineries will give you a chance to experience firsthand the unique expression of northern Argentina’s grapes.